This is a fun, but potentially messy project. Be sure to wear a smock and work outside if possible. If not, be sure to use an old shower curtain or tablecloth to protect the work surface. First, be sure to wash and dry the pillowcase, but do not use fabric softener. 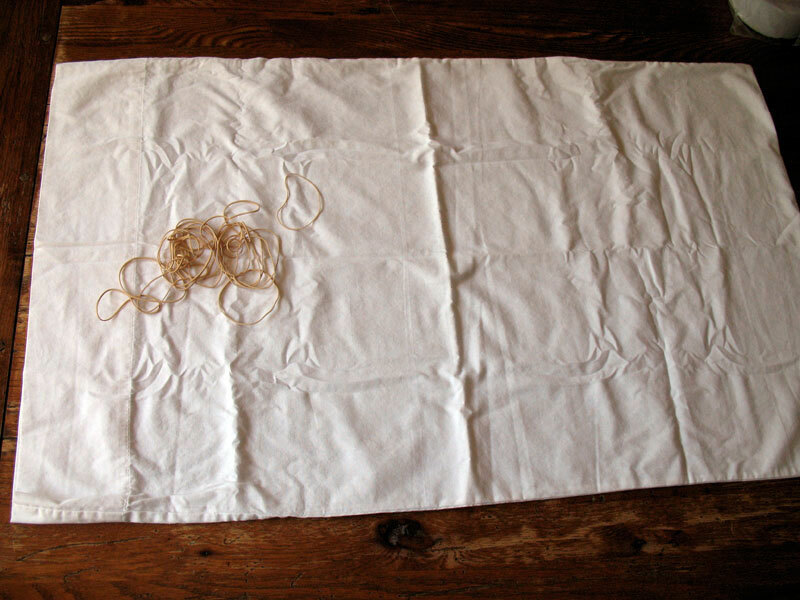 Lay the pillowcase on the work surface. 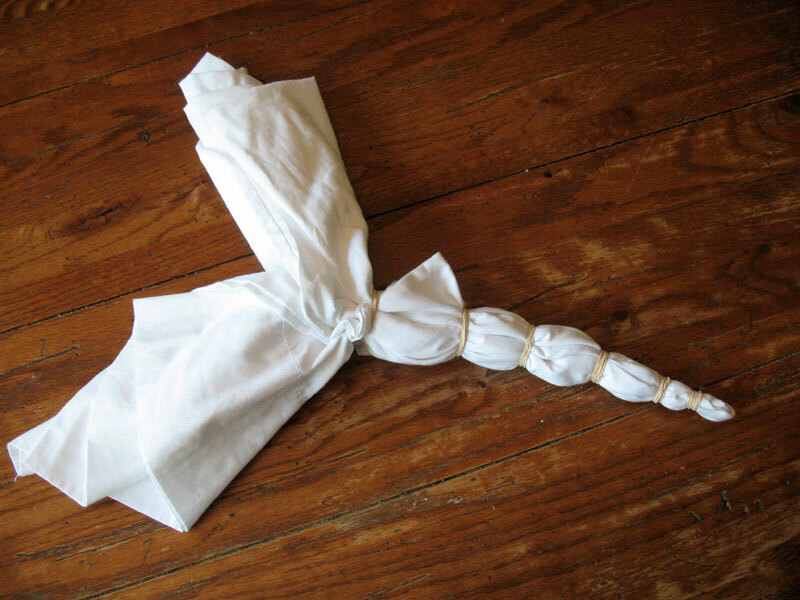 Gather the center of the pillowcase in your hand and wrap a rubber band around it, leaving about an inch of fabric exposed at the top, as tight as you can without breaking the rubber band. 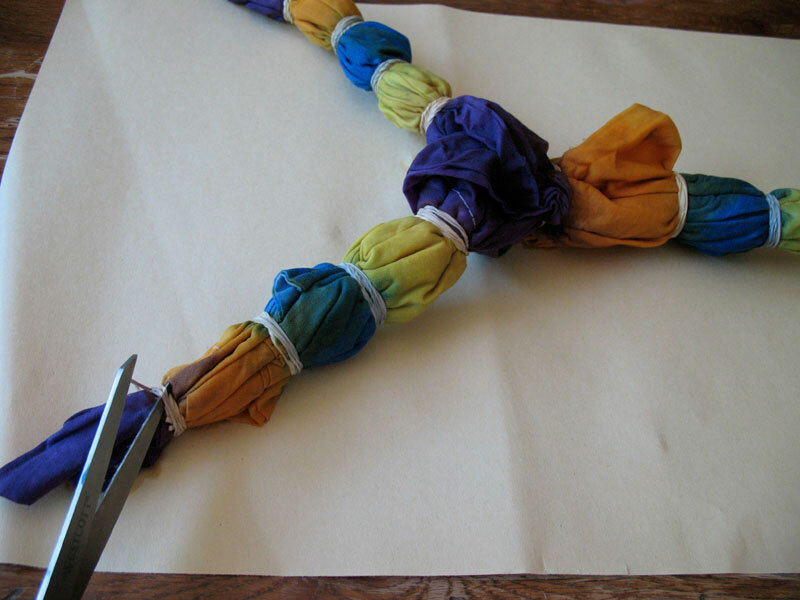 Continue adding rubber bands around the pillowcase, leaving a two-inch space between each one. When you get to a point that the ends of the pillowcase split, wrap rubber bands in the same fashion on the two different sections. 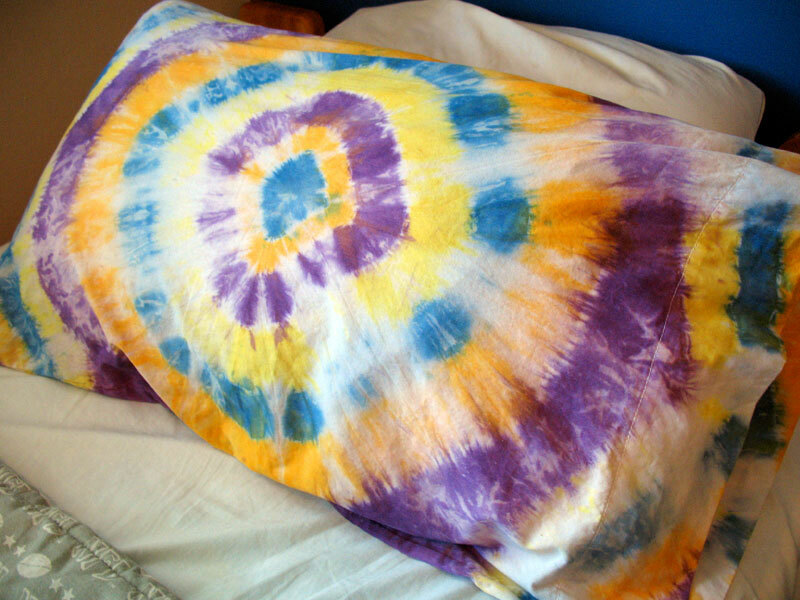 Soak or dip the pillowcase into warm water to saturate the fabric. Squeeze out the excess water. 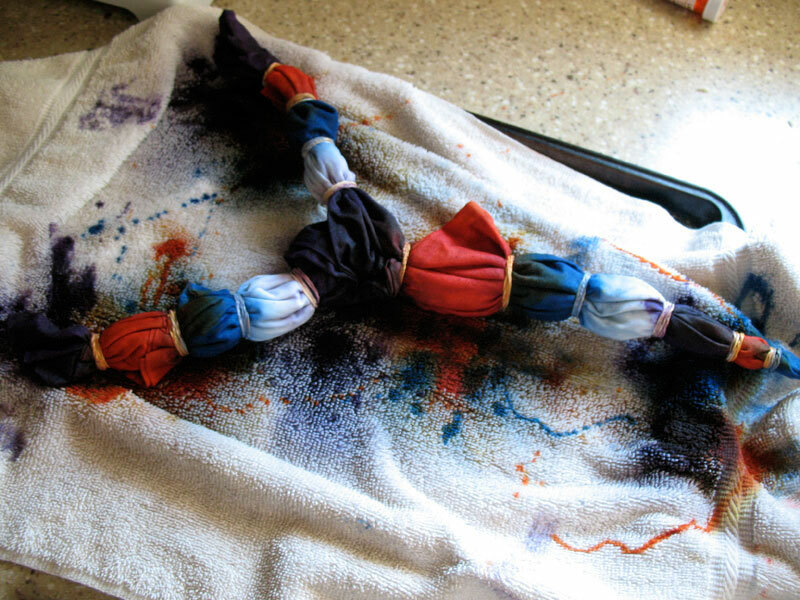 This will make it easier for your dye to soak in. 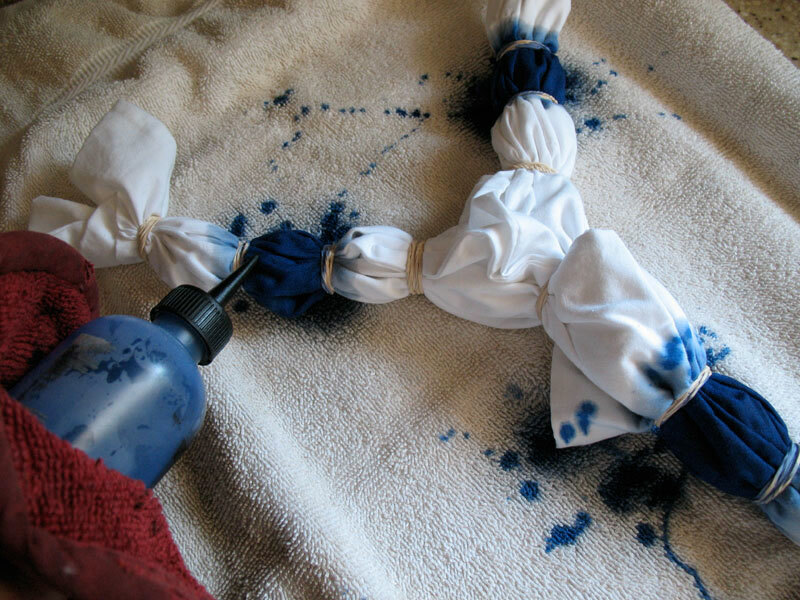 Mix dye according to package directions and pour into plastic squeeze bottles. Note: We used 1/4 of the package for each color, with 1/4 of the suggested amount of hot water. So in other words, we could do 4 pillowcases with 4 different colors of dye. 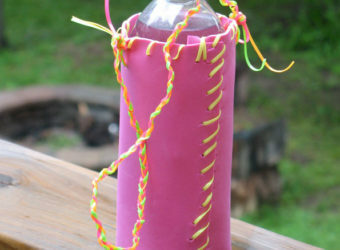 The plastic bottle will be hot, so use a potholder to grab the bottle with. Squirt the first color onto the first section of exposed fabric. Be sure to saturate the fabric, taking care not to drip onto the next section. 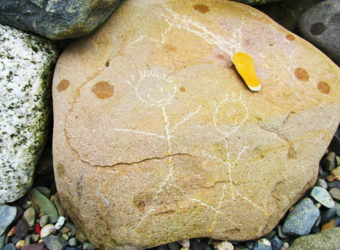 If you do, don’t be concerned, you will not notice these little marks in your finished product. Skip three sections then squirt the fourth section with that color again. Repeat until you have the first color on every fourth section. 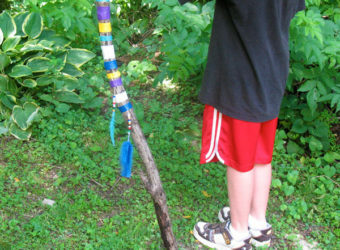 Mix dye for second color and add to a clean squeeze bottle. 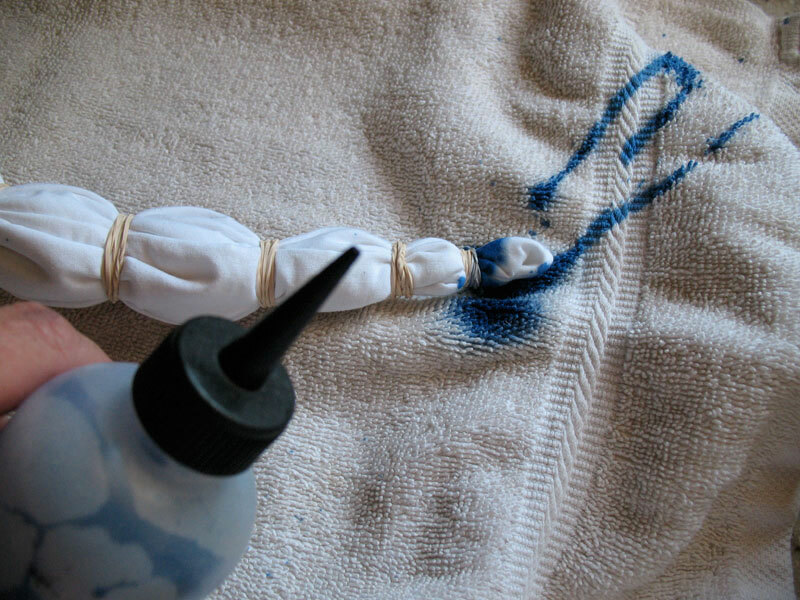 Dye the second section of fabric, and repeat the pattern you did with the first. Repeat these steps for the remaining two colors. 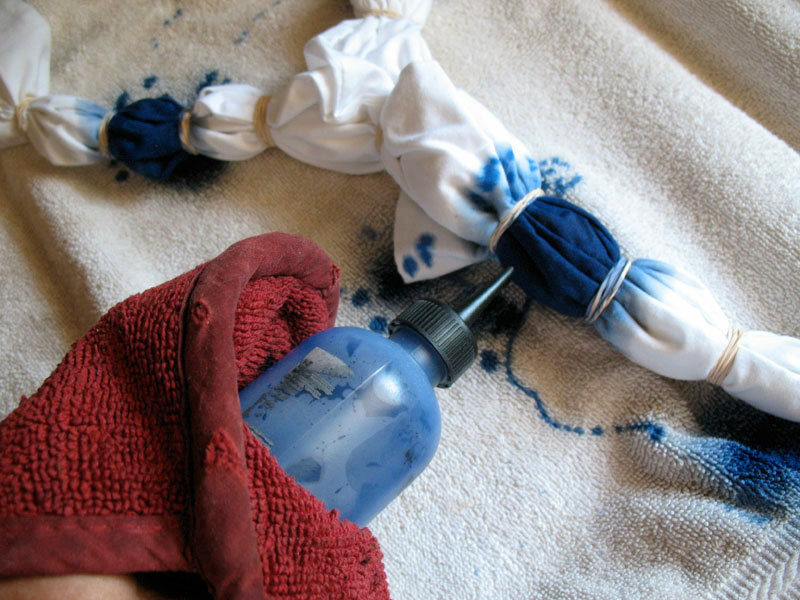 Allow the dyed fabric to sit for 30 minutes or longer. Rinse the pillowcase first in warm water, then gradually reduce the temperature of the water, rinsing until the water runs clear. Squeeze out the excess water. Carefully cut the rubber bands, making sure you don’t cut the fabric as well. 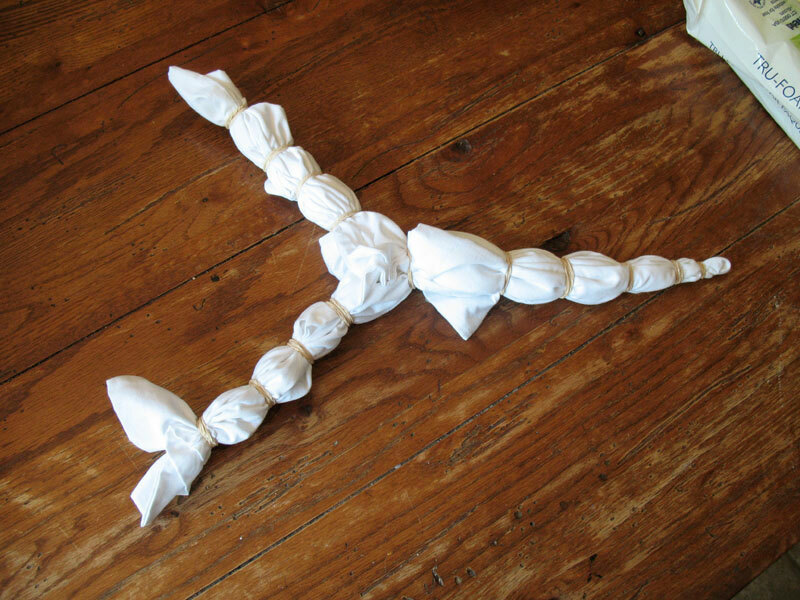 Remove all of the rubber bands and open up the pillowcase. 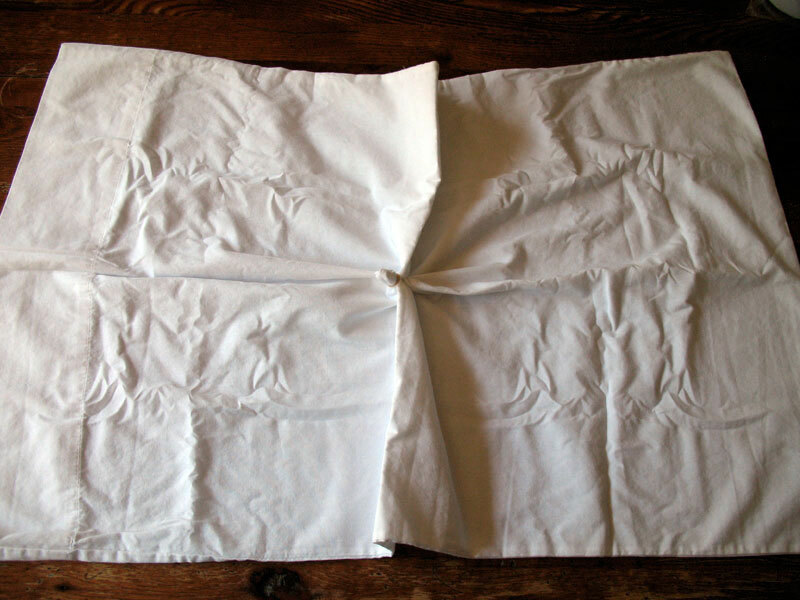 For the first time, wash the pillowcase in cold water with only a small amount of soap; a teaspoon of soap per pillowcase is plenty. Tip: We used plastic squeeze bottles from a salon supply store, but you can also find them at craft supply stores. You can also purchase tie dye kits at the craft supply store that come with everything you need, including rubber bands, dye and bottles. 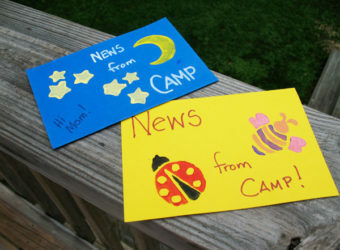 Tie dye kits will provide more vibrant color that will not fade like Rit dye can.